On the same day that Xiaomi officially showed off its Mi Band 2 (that's sadly delayed), Huawei's spin off company Honor also decided to unveil its own budget A1 fitness tracker. Following on from the Honor Band Z1, the A1 ditches the screen for a more discreet and stylish 24/7 activity tracking experience. Available with either silicone or leather straps and in a host of different colours, the A1 will monitor steps, calories burnt, distance and sleep. The 20g weighing tracker is IP57 dust and water resistant, so it's not pool friendly, but good enough for washing the dishes or going for a run in the rain. There's an LED light to indicate call and text notifications and it also packs in a vibration motion to give you a more purposeful nudge when those notifications come through. The most interesting feature is the onboard UV sensor, which we imagine will work in a similar fashion to the Microsoft Band 2 to let you know when you need to apply some more sunscreen. It'll connect to Android phones via Bluetooth and comes with a 70mAh battery that can apparently last up to 28 days in standby. It also uses a microUSB connector, so no proprietary charger here folks. 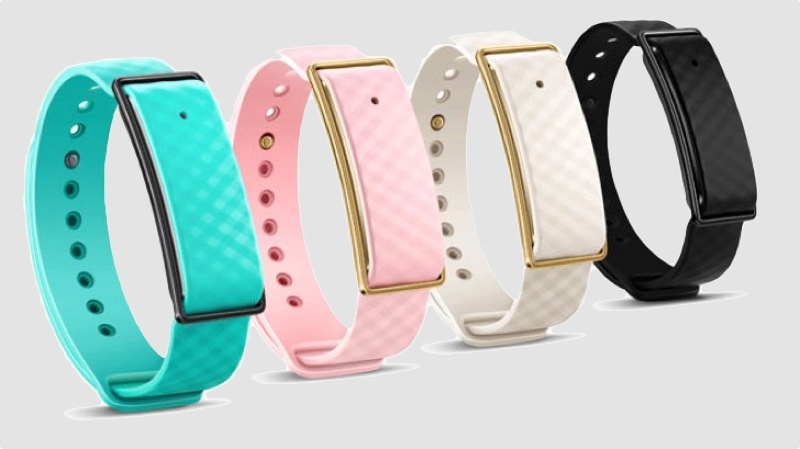 The Band A1 will cost you $15, which puts it in first gen Xioami Mi Band territory. Upgrade to a leather strap and that'll knock the price up to $30 but that's still damn cheap. It's launching in China first on May 25 and here's hoping it makes it out to other territories not too long after that like the Z1 did.